Thank you for taking a moment to see what Tropical Property Rentals has in store for you. 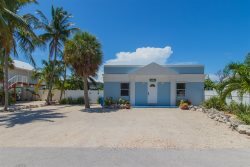 As a resident of the Florida Keys for more than 20 years, RE/MAX Real Estate Broker and Company Owner, Guy Moreau, understands that most of our Florida Keys Vacation Rental Guests like to start their searches without any pressure or outside influence. Here, you can check out all that Tropical Property Rentals has to offer. Once you find something that you like, you can contact us with questions about pricing, availability, or any other concern. Just drop us a message and we’ll get back with you as quickly as we can.